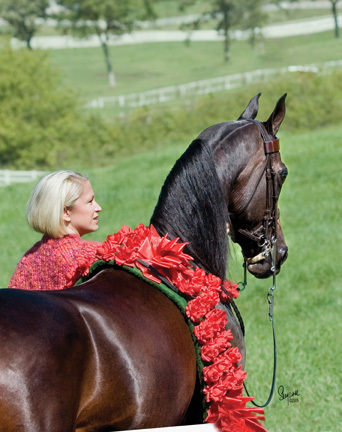 This lovely mare is by Matoi and out of the GG Jabask mare MC Jabaskaolee. 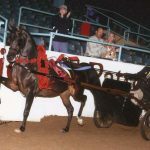 Born in 1997, she made her show ring debut in the Arabian English Pleasure Futurity at the 2000 U.S. Nationals where she secured her place in the national spotlight with an inaugural Top Ten award. 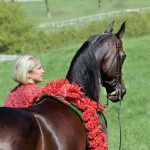 Over the next five years, Toi Jabaska earned ten national championship titles at the U.S., Canadian and Youth Nationals Championships in English Pleasure, Driving and Park. 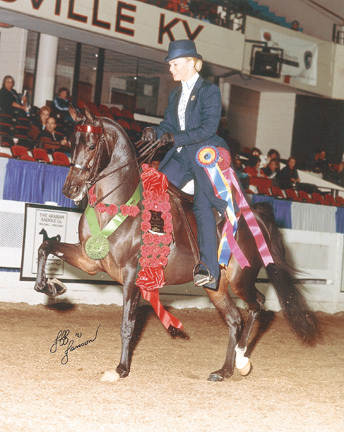 In her final year as a performance horse, she was second in the Arabian Mare Breeding Amateur Owner to Handle class at Scottsdale, followed that up with a championship title in English Pleasure at Youth Nationals then went out in grand style in Canada winning the Arabian Park Horse Championship Amateur Owner to Ride class. 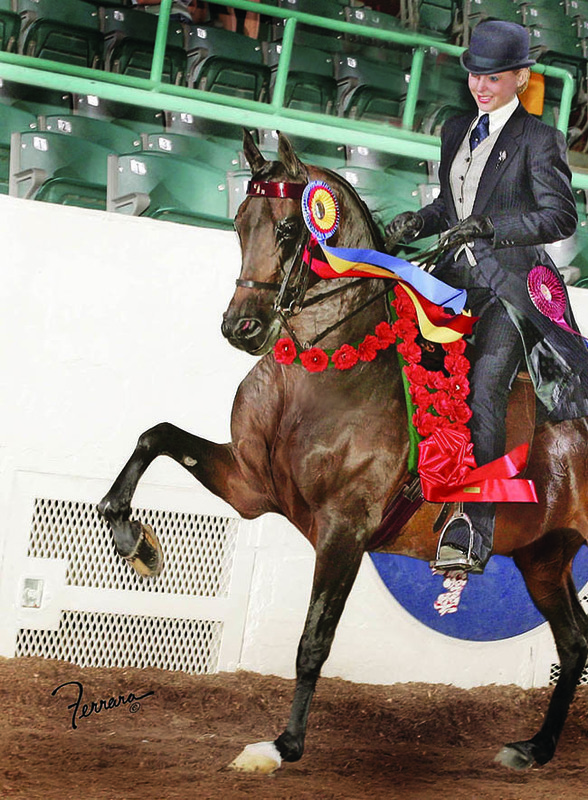 To be sure, Toi Jabaska is one of Cedar Ridge Arabians’ prized show horses, but her excellence extends to her produce as well. 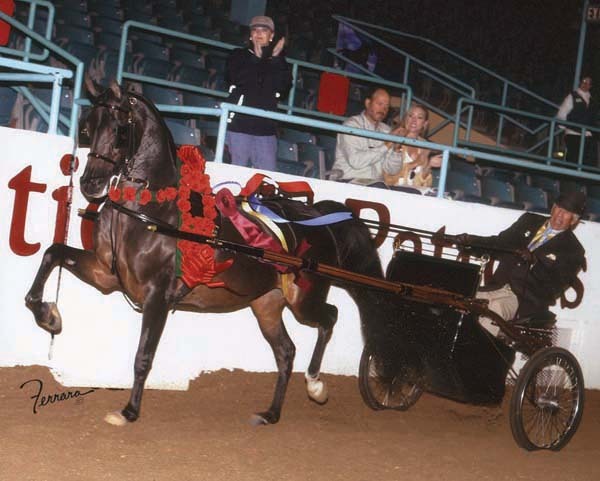 Toi Jabaska is a broodmare, whose progeny are no strangers to the winner’s circle. They seem to carry a lot of the characteristics that made Toi Jabaska a multi-national champion—great attitudes and the ability to bend their necks and be limber in their motion. 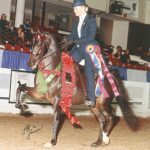 Her produce include: National Top Ten & Regional Champion Prince Of Ames; National Champion Nyte Of Temptation; Regional Champion Toi Money; National Top Ten MR Ames CRF; Regional Champion Afire Toi; National Top Ten Halo Afire; Champion Revvolution; and National Reserve Champion RF Ames.